today is release day over at Kindred Stamps! If you haven't heard of them, the do awesome pop culture parody stamps as well as some general and planner stamps. This adorable little pirate is just too darn cute! 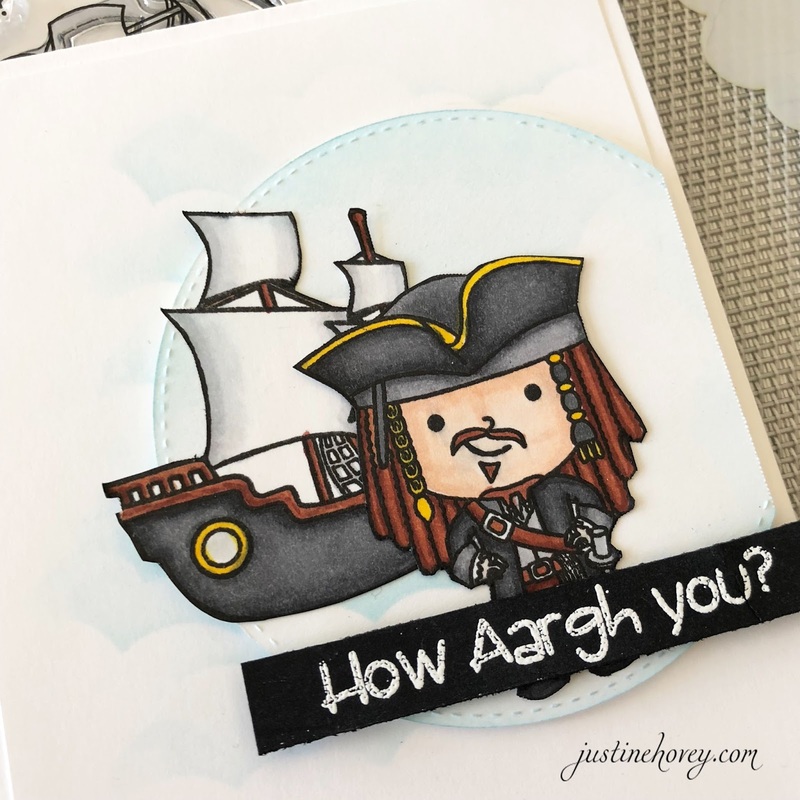 This stamp set is called Yoho and is one of two stamps being released! 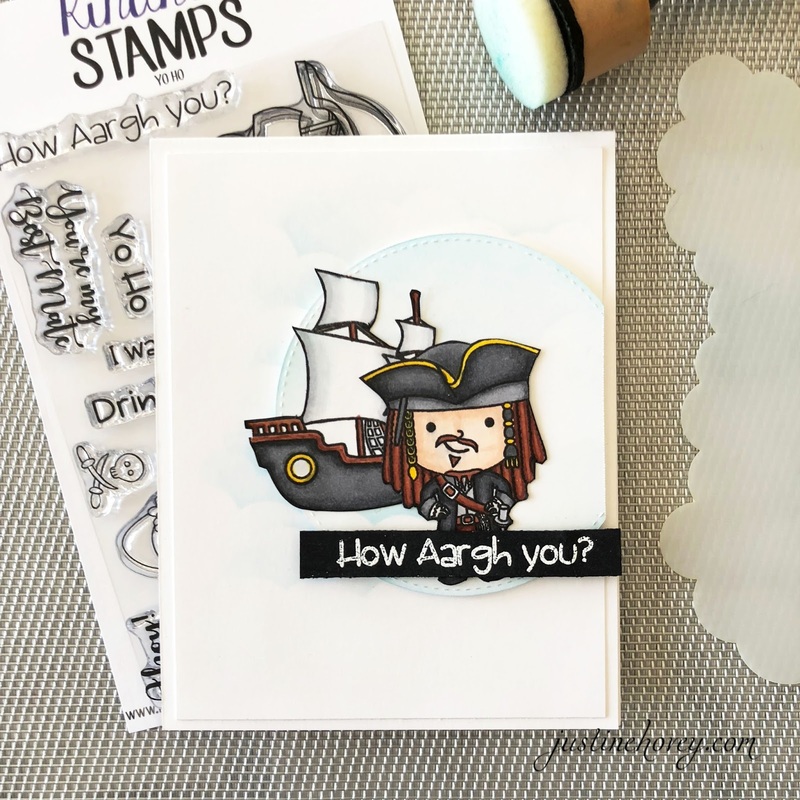 Today I am guest designing for Kindred Stamps and I'm so happy they asked me to be a part of this release. If you are a new customers, use this link to receive 10% off your purchase! In the video, I give some quick and easy colouring tips and you can see how I put together this card! For this background, I stencilled in some Tumbled Glass Distress Ink using the Mini Clouds Stencil from My Favourite Things. This created the look that he was sailing out to see and added a subtle background for some more interest and a pop of colour. I'm so glad that I saw your ADORABLE card. I am going to go check out Kindred stamps!!!!!!!!!!!!! Fun card. Will have to check out this new to me company.